Talk Fusion Is A Business Opportunity And Also A Business Building Toolbox. As A Business Opportunity Talk Fusion Pays You For Selling The Product Line And Building A Sales Organization. The Cornerstone Product Of Talk Fusion Is Video Email. This Allows Everybody The Ability To Generate Leads And Sales By Simply Using The Product To Greatly Increase Customer Relations Thru Video Email. In Today's Video Driven Society The Customer Base For Video Email Is Limitless. Consider The Realtors That Send Out Weekly Emails With New Listings, Wouldn’t A Video Email Be Even Better. How About Restaurants With Their Weekly Specials, Or Something As Simple As Video Email To Family Members? The Rest Of The Product Line Is Of High Value Many Different Businesses. They Include Online Meetings, Video Conferencing And Much More. All Of These Products Together Cost Less Than A Monthly Subscription To Gotowebinar Alone. Talk Fusion Takes The Concept Of Relationship Building To The Next Level. In This Age Of Facebook, Twitter And Youtube, People Have Become Dependent On Social Networking And Very Much Video Oriented. Talk Fusion Does Have A Social Networking Element As Well. Of Course This Does Stay Within Their Core Concept Of Video With Video Blogging And The Video Wall. As A Network Marketing Opportunity It Has A Few Big Pluses. First Is That The Product Lends Itself Very Well To Network Marketing. Many Network Marketers Utilize These Tools To Build Their Primary Business. Consider Sam Brannon Who Was The First Millionaire In San Francisco. Sam Brannon Got Rich From The California Gold Rush. He Didn’t Rich Mining Gold But By Selling Picks And Axes To The People That Were Mining Gold. With Talk Fusion And Network Marketing You Get The Best Of Both Worlds: The Ability To Sell Those Valuable Tools To Network Marketers But Also The Opportunity To Enroll Them As Members To Build A Network Marketing Sales Organization. As With Any Network Marketing Company Talk Fusion Does Have A Compensation Plan And It Has Multiple Ways To Get Paid. These Include Fast Start Bonuses, Binary Plan And Others. The Bottom Line As With Any Network Marketing Opportunity Is If You Promote The Business And Sponsor Members That Do The Same You Make Money. Be Part Of The Moment – Join Talk Fusion Today! 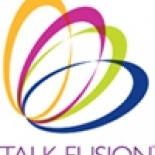 Talk Fusion in Boston is a company that specializes in Computer Related Services, Nec. Our records show it was established in Massachusetts.